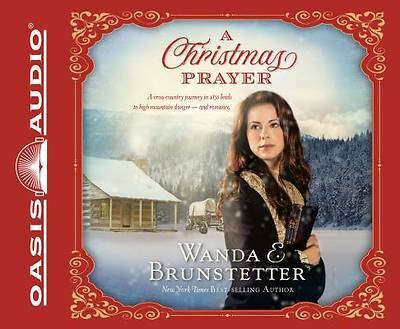 Beloved, bestselling author Wanda E. Brunstetter tells a harrowing story set on a cross-country journey in 1850. Three lone wagons on the California Trail become trapped in the Sierra Nevada Mountains by a sudden snowstorm. Stuck in tight quarters with others makes Cynthia Cooper reevaluate her reasons for being engaged to fellow-traveler Walter Prentice. When a widowed father heading to a California ranch and a gold prospector both show an interest in Cynthia, she has to reconsider here dreams for marriage alongside her responsibility to care for her mother. Can love win over her timid heart?